Roger Sanchez Killing It On The CDJ-2000NXS2/DJM-900NXS2 - updated! 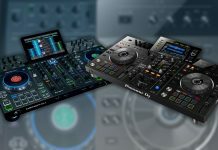 Home DJ News Culture And Trends Roger Sanchez Killing It On The CDJ-2000NXS2/DJM-900NXS2 – updated! Yesterday I was checking out the latest sets on DJsounds (If you are a fan of good DJs, good mixes and Pioneer DJ gear, I can warmly recommend it) and I ended up watching the entire Roger Sanchez 2016 set. This guy is so damned skilled that it’s not even funny, he works 4 CDJs at the same time and makes blending tracks together seem like the easiest thing in the world. Which it isn’t, believe me. 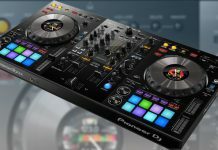 So later yesterday, Pioneer DJ posted a new performance video on their Youtube & Facebook, featuring the NXS2 system and… Roger Sanchez. Now that is a sick set, and it shows very clearly what Roger Sanchez can do with 10k worth of gear. I wish only that the camera wouldn’t be floating around so much and it would focus more on what Sanchez is actually doing. After all, these kind of videos are not meant for the general public. 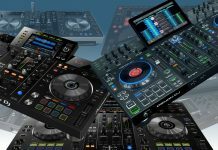 They are meant for DJs, not even so much to convince us to buy this stuff (after all, who can afford a setup like this), but to show that Pioneer DJ and Roger Sanchez are both on top of their game. SO back to DJsounds. If you want to see what Roger Sanchez REALLY can do with a CDJ/DJM setup, check out his latest mix for DJsounds. The overhead camera is recording his every move and if you crank up the resolution to 1080p, you should be able to distinguish the individual effects that he chooses to use. Come to think of it, can’t wait for these sets to go 4K, I would consider buying a 4K monitor just to study them. Digging it? The S-Man is all over those decks, and watch has he uses effects at right moments and in the right amounts. 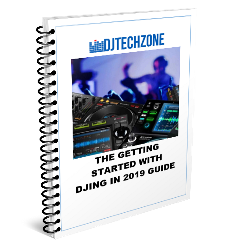 This is a master class in house mixing, so if you are and aspiring house DJ, this is mandatory stuff. CDJ-2000, DJM-2000, no sync, no large waveforms, and still killing it on 4 CDJs, often at the same time. A real classic set, and as the two other sets above, a real masterclass in advanced DJing. It’s a recurring subject, but this series of videos to me once again proof that being a “real” DJ has nothing to do with the gear you use. You might use the 10k+ setup on display here, or an old mixer and 2 turntables, it doesn’t matter, good mixing will shine through no matter what you use. 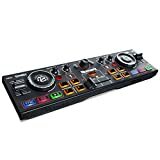 In fact, I bet that if you put a 200 dollar DJ controller in front of Roger Sanchez he would produce the same kind of energy as what is on display here. What do you think? Comment below!